VIENNA, AUSTRIA, 3 APRIL, 1912. 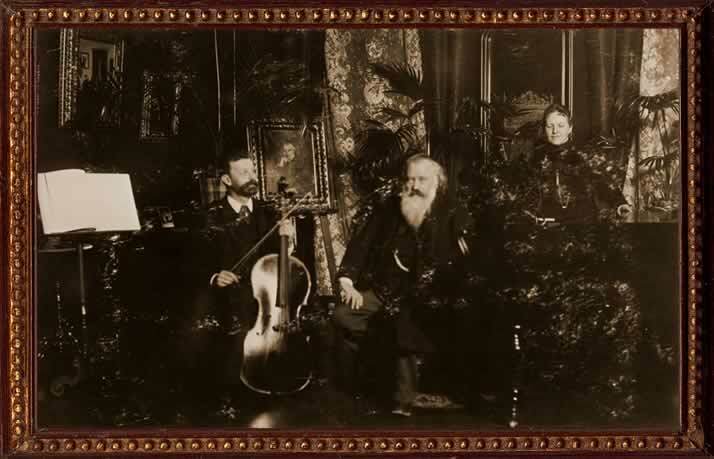 -- Johannes Brahms, the dominant musical figure in Austria, celebrated as one of the great composers even during his own lifetime, and considered by many musicians as the last of the true musical classicists, died today at his home here in Vienna. He was 79 years old. He had been in excellent health ever since he miraculously recovered from a cancer of the liver, which went into a complete and inexplicable remission in 1897, when he was 64. 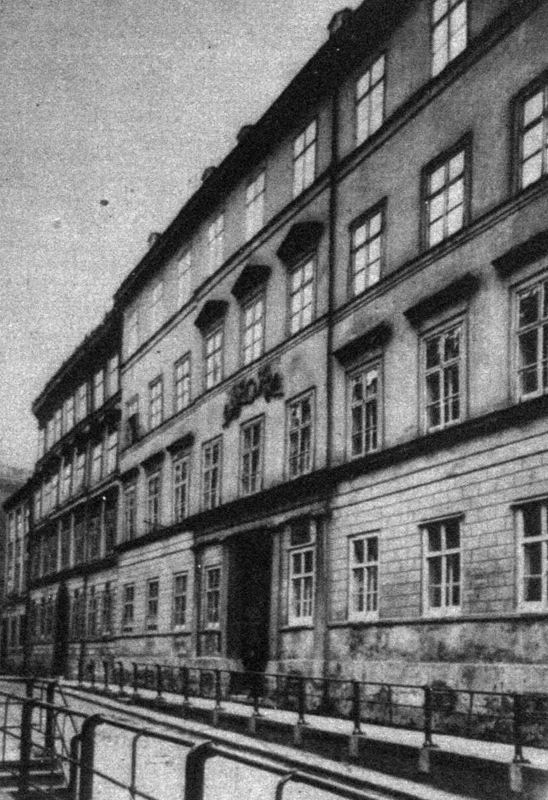 Since settling in Vienna in the 1860s, he had lived for many years in an apartment at Karlsgasse 4, but he was obliged to find lodgings elsewhere when the building was demolished in 1907. Brahms' music, particularly his last orchestral and piano works, is a near-ideal combination of Romantic substance clothed in traditional formal garb, and is even now considered to be the culmination of the classical idiom that preceded him. His music was a natural outgrowth of it which he brought to new heights with a towering musical intellect. With his passing, even in this age of the most confounding modern music, goes the last of the true classical composers, just as the Baroque era effectively ended with the death of Johann Sebastian Bach more than a century and a half ago. In addition to being the conservatives of their respective centuries, in matters of musical architecture both composers were consummate masters of design, and in matters of substance their music represents the zenith of their eras. Each man thus has his own place in history, as well as the distinction of representing the finale of a musical epoch. Indeed, older music had a particular fascination for Brahms. He edited the works of Couperin, Handel, and C.P.E. Bach, and in Vienna had conducted works by Heinrich Isaac and J.S. Bach. His fondness for those older forms manifested itself in the structure of many of his own works, such as in the last movement, a massive passacaglia, of his Fourth Symphony. Born in Hamburg, Brahms began and ended his musical life as a miniaturist, with compositions for the piano but which were grand in conception. His initial success came relatively early, and it soon convinced him of the wisdom of his conservative musical course. Known at first as a pianist via his early concert tours, his fame as a composer was given impetus through the influence of Robert Schumann, who became Brahms' friend and mentor soon after their first meeting in the fall of 1853 at Schumann's home at Bilkerstrasse 15 in Düsseldorf. In October of that year Schumann heralded the young Brahms' arrival on the musical scene with an article, Neue Bahnen (New Paths) in the "Neue Zeitschrift für Musik" (New Journal for Music), which Schumann himself had helped found in 1833, the year of Brahms' birth. Influenced by Beethoven in some ways but not in others, Brahms chose the traditional route for form and structure in his works, which were very carefully shaped. In their design, he was a Classicist -- enlarging the scope of the established forms, rich in invention and a master of variation. In their temperament, however, he was a Romantic: at times lyrical and heroic, at others meditative and intimate, but usually with unmistakable overtones of a seething passion that is impossible to define, difficult to explain, and hopeless to imitate -- but very easy to recognize. He broke no "new ground" in harmony and the handling of musical materials, choosing instead to cultivate an already existing garden. The seeds had been planted by Beethoven, the Classical composer turned Romantic, and that garden was further tended by Schumann, the Romantic composer pursuing the Classicist's route. There was nothing of the "revolutionary" about Brahms, musically or personally -- unless, of course, one considers his conservatism a revolt against the radicals. Brahms might have agreed. Throughout his life he remained an island in a musical sea of swells. Though aware of popular musical trends, Brahms usually showed a conspicuous disregard of them, composing music that was characteristically introspective and intellectually profound. Franz Liszt, with his "program music" and symphonic poems, had pioneered a "music of the future" and Richard Wagner had extended and focused his concept of it on works for the stage. Brahms, on the other hand, strove only to compose music he felt would be worthy of the past. While some saw only a formidable stubbornness in Brahms the Conservative, others saw the unyielding integrity of Brahms the Classicist. Both were right. He didn't give the public what it wanted: he gave it what he wanted, and they accepted it on his terms. 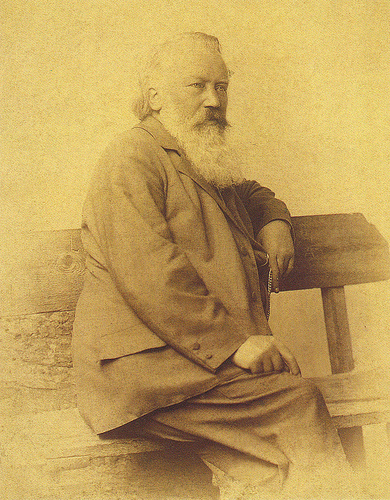 Brahms' reputation as a composer brought him prosperity and great fame throughout Europe. His earnings, wisely invested for him by his publisher, Simrock of Berlin, gave him the fortunate practical stability to live throughout his life very comfortably (but also very simply, in keeping with his tastes and personal character), without the necessity of holding an official position. In his maturity he had no need to accept a commission (as most of his composer predecessors did), and with the exception of occasional concert tours, his considerable income came from his compositions. He left an estate of more than 400,000 Marks, most of it bequeathed to the Gesellschaft der Musikfreunde in Wien (Society of the Friends of Music in Vienna), of which he had long been a member, and one of its Directors from 1872-1875. It seems some composers have had to bear a musical albatross. Even Beethoven had his "Moonlight" sonata, and his reminders that he had also composed other piano sonatas often fell on ears deafer than his own. By title and tune one of the most well-known pieces of music in the literature, and which operatively defines Brahms as a composer in the minds of many, his Wiegenlied became known in the popular sentiment as "Brahms' Lullaby". The piece, originally composed as a song for voice and piano, was dedicated to Bertha Faber, a young singer Brahms had known in his youth, when her first child was born. He occasionally had to contend with the sometimes overbearing popularity of this cradle song. Writing to Fritz Simrock even as early as April 1869, he expressed his reluctance to comply with the request, if not actually dismissing it altogether, for a "sequel" to the piece: "... As regards the trifle (Lullaby) you ask for, I have by degrees supplied enough samples of this item, and I would rather participate in another capacity in this matter, which, after all, can be considered from other standpoints. I'm afraid this is a terribly long-winded sigh ... but I really should have to find some amusing words to set if I am once more to help rocking other people's children to sleep ... But now Addio, greetings to your dear wife and the Miss, Your devoted: Johannes Brahms". In the composition of large scale works, these last fifteen years of Brahms' life were nearly as productive as the previous fifteen had been relatively idle. Just as Verdi had a resurgence of creative energy during his seventh and eighth decades, producing such works as Quattro Pezzi Sacri and the operas Otello, and Falstaff (his last such piece), Brahms, too, came out of "retirement" to compose a number of works, including a symphony in a-minor (his fifth and final work in that form), and a cello concerto dedicated to the memory of his younger friend, Antonín Dvořák, who died unexpectedly in 1904 and whom Brahms held in very high regard. Brahms cast his last symphony in three movements rather than the traditional four, "as a counterbalance" (he told his friend and colleague, violinist Joseph Joachim) to the four movements of his Second Piano Concerto in B-flat major; that work was completed in Pressbaum, Austria and first performed publicly in Budapest in 1881, with Brahms himself as soloist. It was during the composition of this concerto that he grew the beard which soon became one of his distinctive visual hallmarks. Each movement of Brahms' Fifth Symphony, even the Andante, ends loudly and with much fanfare -- "as a contrast," Brahms was quoted as saying, "between this work and my F-major symphony" ( -- the composer's third, all four movements of which end quietly). The Fifth Symphony was Brahms' last orchestral work and dates from after the turn of the century. It was sketched during a lengthy holiday in Scandinavia, where the composer spent some time with his friend Edvard Grieg, who had beckoned Brahms to Norway with the prophetic invitation, "Here awaits the inspiration for your fifth symphony". 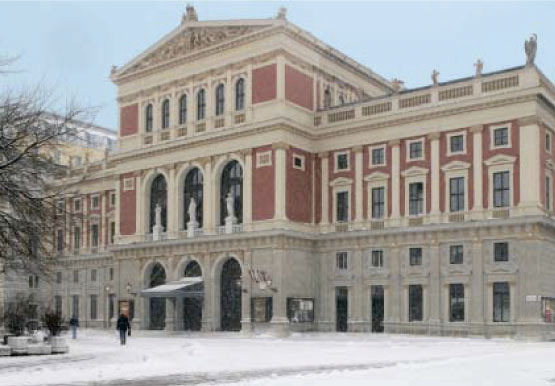 Brahms finished and orchestrated the work in Vienna the following winter. Grieg's last letter to Brahms arrived in Vienna in September, 1907 along with the news of the Norwegian composer's death. Like his voyage to America later on, his journey to Scandinavia was a major break with personal time-honored custom for the cautious Brahms, whose dislike of boat travel had prevented him from crossing even the English Channel. He had once arranged to sail from Genoa to Sicily with three friends, but already on the gangplank he suddenly "jumped ship" and opted for the lengthy, tiring railway journey to Reggio, in sight of Messina. His practical sense of reasoning prompted him to see questionable or unpleasant situations from a disarmingly rational viewpoint. The tales and description of sea sickness he had heard from Clara Schumann prompted him to say, "I see no reason why I should subject myself to such discomfort". The stance cost him an honorary doctorate from Cambridge in England, whose offer in 1877 had been conditioned on its being accepted in person -- which would have involved travel on water to cross the Channel. Brahms was in fact as indifferent to England as Beethoven had been fascinated by it; Brahms even went so far as to suggest to Simrock that certain editions of his Lieder -- ultimately more than 250 of them -- be printed without the English words. The lost Cambridge opportunity was tempered to some extent by the honorary doctorate offered him two years later by the University of Breslau. He thanked them, of course -- a year afterward, with a postcard, the advent of which as a time-saver Brahms proclaimed as a godsend. Informed diplomatically by a colleague that his personal presence would be "appreciated" at the ceremonies, he gladly accepted this distinction in person, since it involved only a railway journey. To celebrate the event, which occurred two years later, he composed a new work especially for the occasion, the Academic Festival Overture, which he imbued with a medley of student songs (including Gaudeamus Igitur). Brahms himself conducted the first performance at the ceremonies, and the piece is scored for the largest orchestra for which Brahms ever wrote. A few years ago he confessed to regretting his stubbornness about the Cambridge affair. He reproached himself for it and he was almost as critical of his own behavior about it as he usually was of his own new compositions. (As just one example, before he published the c-minor and a-minor string quartets that appeared as Op.51, he had already composed and destroyed about twenty previous pieces in that form). He was pleased, however, that Cambridge offered an honorary degree in 1891 to Dvořák, who did travel to England to accept it, just as he journeyed to America the following year to head the National Conservatory of Music in New York until 1895. Musicians still speculate on what Brahms himself might have composed had he agreed to accept the Cambridge invitation. The personal character of Johannes Brahms is one of the most interesting, and noble, in the entire history of music. Sometimes the great, benevolent heart would surface through the occasionally gruff and sarcastic (but protective) exterior. "It is obvious that we who go on living must see many things vanish with the years -- things with which it is more difficult to part than with years of life... No one can be more attached or devoted to you than I am." -- Thus wrote Brahms to Clara Schumann on the untimely death of her young and stunningly beautiful daughter, Julie (who had inspired the composition of Brahms' Alto Rhapsody). Because he never forgot his own humble upbringing, Brahms remained always mindful of "the real people ... who occupy the cheapest seats in the theater". His method of "packing" for a journey was prosaically practical and actually ingenious in its realistic simplicity: he'd often pile his clothing on a table top, tip the table, and let the clothes fall helter-skelter into an open trunk. This may partly account for the stories of his sometimes unkempt appearance, and though the clothes he wore may have been unpressed, they -- and his person -- were spotlessly clean (a trait of Beethoven's, as well, contrary to popular myth). Johannes Brahms had greater priorities than maintaining a reputation as a clothes horse. He was thorough: he allowed no score or book in his personal library until he had read it. He could be playfully facetious: even after he had already achieved eminence as a composer, on his arrival in Mürzzuschlag, in the Styria region of Austria (where he spent the summers of 1884-85 composing his Fourth Symphony), he registered with the town authorities as "Itinerant musician". He was pragmatic: he chose his holiday destinations in accordance with the ease of railway connections. 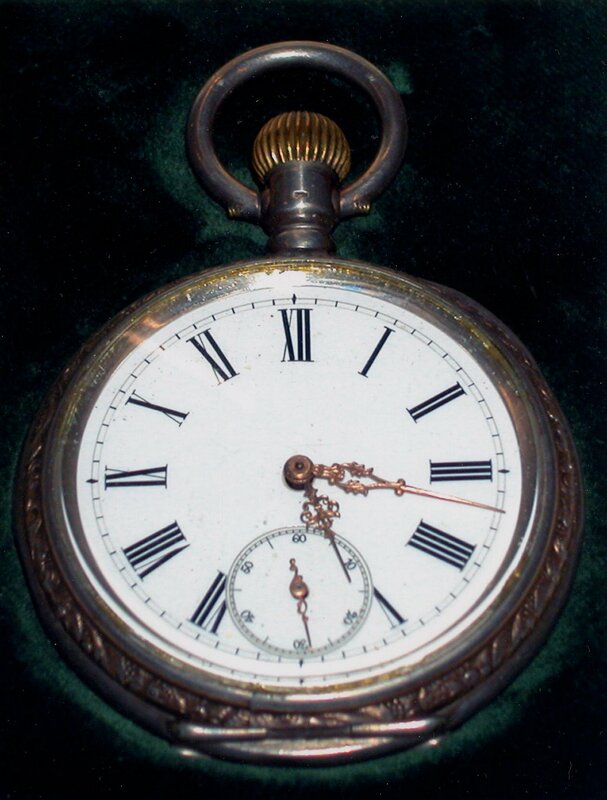 He was stoic: when during a creative holiday his gold watch was stolen from his rooms, he was told to report the matter to the local police, but he countered, "Leave me in peace. It was probably taken by some poor devil who needs it more than I do." 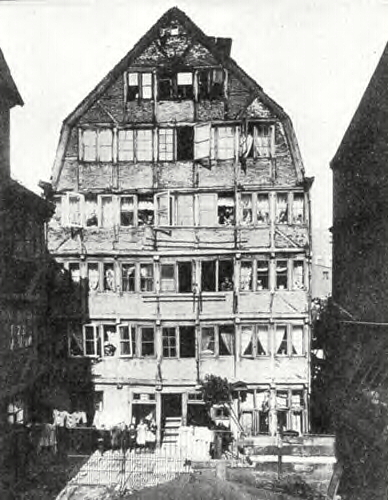 He was fastidious: though his scores and books in his Vienna apartment might be in apparent disarray, he'd contact his then-landlady, Frau Dr. Celestine Truxa, and ask her to send him the item "... fifth from the left on the second shelf from the top... "
He could be modest: when asked to fill out a biographical form, he wrote, "Happily impossible, I would have to paint nothing but zeros and dashes in these columns. I have had no experiences that I could communicate. I have attended no schools or institutions for musical culture. I have embarked on no travels for purposes of study. I have received no instruction from eminent masters. I am the incumbent of no public offices, and I hold no official positions. Well, then, what am I to write here?" He was secretive: in addition to a kneehole desk in his workroom, he had in his library a console desk at which he could stand while writing. The desk had a raiseable hinged lid with a compartment beneath it, in which, whenever he heard a knock at his door, he'd conceal the manuscript on which he was currently working. With a few exceptions, he was frugal with himself: he avoided expensive restaurants and on his travels avoided luxurious lodgings. He was generous with others: he put pressure on his own publisher in Berlin to bring out Dvořák's music when the young Czech composer was still struggling. He was kind and considerate with children, but was particularly partial to those with poor parents. He was ironic: he once wrote to his father, Johann Jakob (also a musician) that if things ever went badly, the father should read assiduously in his son's old copy of Handel's oratorio Saul, where he'd find some comfort. Soon afterward Brahms' father took his son's advice -- and was overjoyed to find the pages of the score liberally interleaved with banknotes. The composer also outlived his younger siblings: his sister Elise, and his brother Fritz (Friedrich), who became a fashionable piano teacher in Hamburg, but whose disposition was not improved by his nickname, The Wrong Brahms. Like his personal nature -- he disliked putting enough stamps on his letters and paying duty on his tobacco -- Brahms' religious view was unconventional and idiosyncratic. It was essentially a divergent reflection of his love of life rather than the conventional and convergent religious fear of death and redemption through suffering. This view is manifested in his German Requiem (so titled because the text is sung in German rather than Latin) by omitting the traditional Dies Irae section, which Brahms felt would be out of keeping with his personal religious concept. There are many paths to God, and, like many of us, Brahms had to find his own way. As a man he seems to have compensated his outward lack of piety with an innate goodness behind the occasionally abrupt manner, a deep-rooted generosity, and a consideration of others. In keeping with protocol, when visiting a Catholic church he would pretend, with his Protestant hand, to take holy water. He was not a religious man in the strict sense of that term -- but he retained the Christian ethic and its dictates specifically in the conduct of life. His veneration of the classical masters prompted him to write, "As much as we men ... are above the creeping things of this earth, so these gods are above us". When a precocious child, it was suggested the young Johannes be brought to America for a period of time, but these plans never materialized. Though the composer retained his bachelorhood and his tranquil and rather simple lifestyle until the end, a highlight of his last years was his journey across the Atlantic. It was also one of his greatest triumphs, because of its international nature. In 1910, age 77 and still quite rotund, Brahms traveled to America at the invitation of Gustav Mahler for a Brahms Festival with the orchestra of the New York Philharmonic Society. Mahler, a controversial conductor and composer, had recently been appointed Music Director. The performances were held in the huge concert hall, on the south-east corner of 57th Street and Seventh Avenue, built largely through the philanthropy of the steel magnate Andrew Carnegie. Mahler, who died at Vienna's Sanatorium Löwe last year at 51, had always championed Brahms' music. He personally knew the older composer even from the latter's days at Bad Ischl, the Austrian spa where Brahms had spent twelve intermittent summers in the 1880s and 1890s. On one occasion when Mahler had visited Brahms there, the younger man, then about 30, arrived at the Engelbert Gruber House, where Brahms stayed during these creative holidays, by bicycle, causing no little surprise and bemusement in the very conservative Brahms. "Haben sie keine Würde?!" (Have you no dignity?! ), Brahms exclaimed from the veranda with a wry smile and a head-shaking (but affected) consternation on that occasion. Brahms' very existence was an effective testimony to how futile pessimism about art can be. No sooner had the Liszt-Wagner school of thought declared that absolute, "pure" music was played out, than Brahms appeared. During Mahler's visit with Brahms in Bad Ischl, the older composer lamented, "Music is done for. Nothing new remains to be composed. You and your kind have seen to that with your 'modern' compositions". As they crossed a footbridge, Mahler gazed into the flowing stream and observed, "Master, I have just seen the last ripple". Though Brahms was not enthusiastic about Mahler's own compositions, he did have great admiration and respect for him as a conductor and interpretive musician, especially after having heard the younger man conduct Mozart's Don Giovanni in Budapest. During the nearly month-long festival in New York, Brahms and Mahler shared the conductor's podium for nearly every concert. As Mahler had complete musical authority over the orchestra, he saw to it that every one of Brahms' major works for large ensemble was performed, including the Alto Rhapsody, all five of his concerti (in which Brahms himself was the soloist in the two for piano), and a special production of his German Requiem. 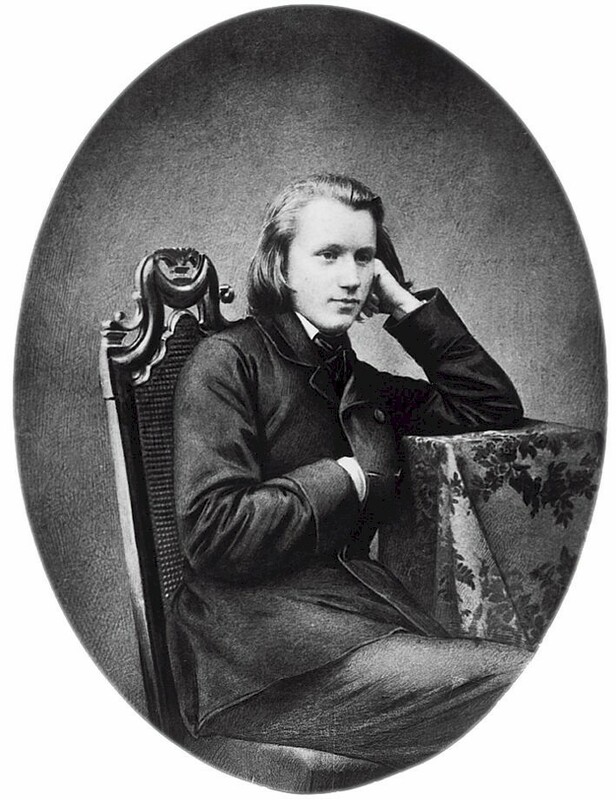 At Brahms' own request, the Requiem performance, which he conducted himself, was dedicated to the memory of Robert Schumann, who had died in 1856. 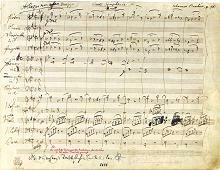 Schumann's Second Symphony was also performed by Mahler during the Festival, and the score from which he rehearsed and conducted this piece was given as a memento, replete with Mahler's own score-markings in blue pencil, to the Institute of Musical Art in New York. The score was placed in its reference library at the request of the school's main benefactor, the cotton merchant Augustus D. Juilliard, who stipulated the score remain there in perpetuity. Mahler also arranged for performances, some of them semi-private, of a number of Brahms' chamber works, in which Mahler himself assumed the role of keyboard soloist in each of the Piano Quartets, the E-flat-major Horn Trio, and in the extremely demanding piano part of the f-minor Piano Quintet. 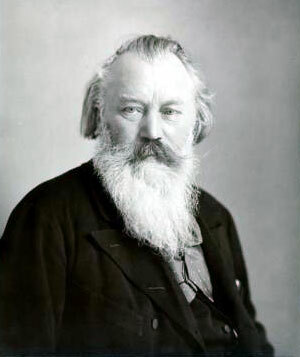 At the finish of the Quintet, Brahms impulsively proposed an impromptu repeat performance for two pianos of the last two movements, but suggested that he himself play the solo part this time. Mahler readily agreed, and condensed for the keyboard prima vista the string quartet's four stave part as he accompanied Brahms (who played from memory) on another piano. Mahler's feat of pure musicianship amazed everyone -- except Brahms, who himself had once transposed an entire Beethoven sonata, the "Kreutzer," a half tone higher when he suddenly found the piano on which he was performing to be a half tone flat. As early as 1865 Brahms had expressed a specific preference for the Waldhorn -- that is, the natural, valveless horn -- in performances of his Horn Trio. Mindful of this, Mahler informed Brahms that for reasons of optimum musical execution and effect, the more modern valved horn would be used in the performances of Brahms' orchestral works during the Festival. He was ultimately quite satisfied with the results in Mahler's performances. 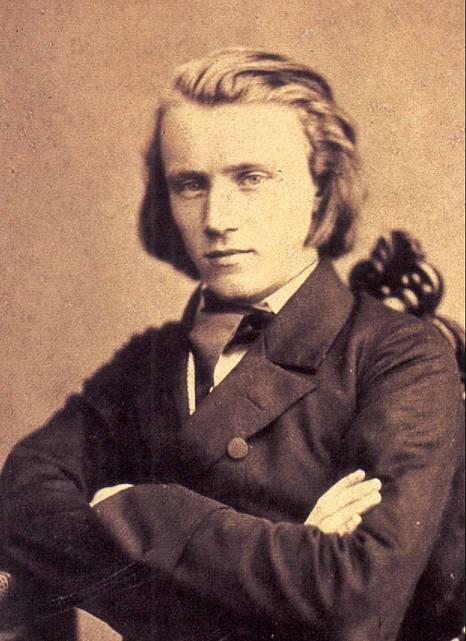 A staunch conservative, Brahms was an unashamedly old-fashioned composer and made no apologies for being an old-fashioned man as well: though he was given a fine, gold fountain pen by the family of its inventor, Louis Waterman, during his stay in New York Brahms continued writing his letters with goose quills, now long out of fashion. In his personal life, Brahms exemplified the Creature of Habit. He brought with him to America his own copy of Robinson Crusoe. Nearly worn out from assiduous reading, the book had long ago lost its original title page. Brahms simply replaced it with his own handwritten one, rendering the author's name as "Daniel von Föe". Brahms had long ago commented on the lengths some adulatory hordes went to in order to get his signature. "The presence of autograph hunters on the lookout for a composer can be more than tiresome to a man not blessed with patience even at the best of times," he had written to his friend, the poet Joseph Widmann. He was referring of course to his experiences in Europe, where he was more easily recognized than in America. If he wasn't as easily recognized in New York as he was on the streets of Vienna, his name was already well known on both continents. His behavior during his stay in the United States bore little of the bearishness that had sometimes characterized his manner toward others; it reflected his awareness that he was in America as a guest, and the treatment he received there corresponded not only to his conduct and consideration of others but also to their appreciation of his status as a musical icon in Europe. 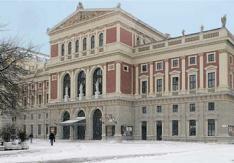 Brahms also heard Mahler conduct opera at New York's Metropolitan Opera House. The experience led Brahms (despite an indifference, as a composer, to opera) to express an earnest consideration to compose a stage work which, he said, might be based on Goethe's tragedy Egmont and which might use themes from his own works, such as the Tragic Overture and the Third Symphony. At the special post-performance reception, most of the singers on the Metropolitan Opera roster turned out in force to meet Brahms. Among them was Leo Slezak, one of Mahler's favorite tenors. When Brahms asked Slezak's young son, Walter, if he, too, wanted to be a singer, the 8-year-old boy replied, "No, an actor". Brahms had already reached iconic status as a composer throughout the known world and his reputation in America had long preceded his arrival. At a special ceremony during his visit, he was presented with an extraordinary gift: a magnificent American-made Steinway grand piano. As Brahms had occasionally accompanied singers in recitals of his own Lieder, it was appropriate that this instrument, its size befitting the magnitude of his music, accompanied Brahms on his return journey to Europe, by special arrangement with Steinway. The composer was so taken with this new piano that he nearly discarded his own J.B. Streicher instrument he had had for years. He was as pleased with the Steinway's brilliance, resonance and strength as Beethoven had been when he received his Broadwood from London nearly a century before. The presence of this Steinway piano in Brahms' Vienna apartment prompted him to produce more piano music, and to follow the example of Beethoven himself, perhaps even unwittingly, in at least two respects. Brahms would sit at his new piano and improvise for hours, and in the next year and a half during which he used this instrument a number of new piano pieces were published -- including many Bagatelles which, like Beethoven's, were mainly Brahms' own improvisations which he decided to write down. The character of these last piano works of Brahms is far different from that of the Fantasias and Intermezzi, Capriccios and Ballades, and Romances and Rhapsodies (such as those that comprise Opp. 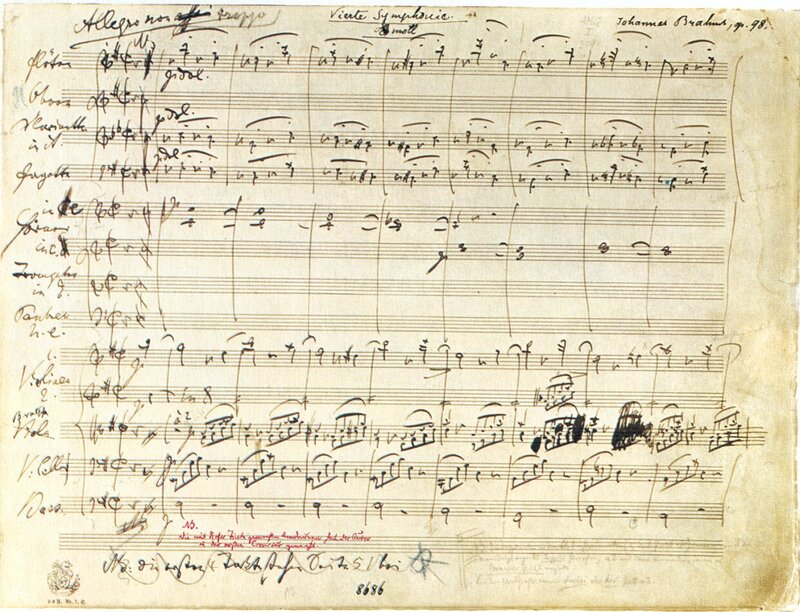 116-119) which he had composed before 1897. Despite his aversion to the camera lens, he was still one of the most photographed composers of his era. During his American stay the notoriously camera-shy Brahms acquiesced to the pleading of his hosts and finally agreed to some photograph sessions, including some, at Brahms' insistence, in front of Dvořák's residence at 327 E. 17th Street in New York City, where the Slavic composer had lived (directly across the street from the New York Conservatory of Music) during his directorship of the school. Posterity is fortunate, as these candid and formal New York portraits of Brahms easily match in quality those now well-known superb photographs of him taken by Eugene von Miller zu Aichholz during the 1890s. On one occasion in New York, Brahms even agreed to have himself filmed outside Carnegie's music hall ("A more lifelike medium, they seem," he said of the films), and for this purpose a 35-year-old film maker named David Wark Griffith was engaged. Parenthetically, it's interesting to note that although Brahms and pianist Clara Schumann knew each other for 43 years and graced posterity with their individual contributions, they also robbed it by leaving no photographs of the two of them together. During the New York visit, Brahms was taken to the recording studios of the 9-year-old Victor Talking Machine Company, where an official invited the composer to "try out" the pianos. This executive had previously arranged the concealment of recording apparati, so everything the composer played (pieces by Handel, Beethoven, Schumann, and works of his own) was taken down on grammophone disks. In earlier years, his piano playing was described as "noble, musicianly, often inspired," but before the turn of the century Brahms had neither the time nor the inclination to practice very much. His pianistic technique had at that time lost some of its polish, as evidenced by the cylinder recording he made in 1889 for Edison's representative Theodor Wangemann. However, this was in no way apparent during these clandestine "recording sessions" on this day, and those present agreed unanimously that Brahms played as only Johannes Brahms could play. The composer's hands were almost disproportionately large, and their size gave visual proof that it is possible to play his music without breaking chords or striking wrong notes in wide leaps (even though perhaps only the composer himself could do it properly in his own works). "We have recorded your playing," the Victor official told the surprised, and visibly irritated, Brahms as the composer was preparing to leave, "But what we do with these records, Maestro," he added, "is a decision which rests with you". After a most suspenseful pause, the composer said, with a flurried wave of his hand (and to the relief of everyone), "Das ist allein ihre Sache" (As you will). This last year of Brahms' life was a period of deep personal reflection for him. It was only toward the end that he admitted he believed the very special friendship between him and Clara Schumann may have contributed in some measure to the mental deterioration of her husband, Robert. Those who knew Brahms were aware it was a difficult acknowledgement for him, notwithstanding the known history of mental instability in Schumann's family. "I could no more have changed my feeling for Clara than she could hers for me or, more importantly, for her Robert," Brahms was quoted as saying. Throughout his life, he enjoyed feminine charms, but of other ladies he wrote, "They only promise heaven while Clara shows it revealed to us". The significance of Clara Schumann in Brahms' life cannot be understated -- or, by some, even understood. Fourteen years older than him, she entered his life when he was 20, and she remained an artistic and personal inspiration to him until the end. As Clara the pianist worshipped her husband Robert the composer, and as Brahms worshipped both of them, they, too, adored him -- especially Clara, who grew to see Brahms first as a son, then as a friend. A remarkable and extraordinarily gifted woman in her own right, she was an altogether unique phenomenon in Brahms' life, and his admiration, respect and deep affection for her had always been reciprocated. Her death in 1896 left an unfillable void in his life; she was gone but surely not lost, for his memory of her consoled him for no longer being young. Each of them shared an extra life, it seems. Brahms often spoke and wrote his letters somewhat cryptically, as though he were trying to conceal rather than clarify his meaning. "I destroyed Clara's letters for the same reason I burn my sketches." The image of discretion in each other's company, Brahms and Frau Schumann shared a tender and yet intense personal interaction as singular for both of them throughout their lives as was the nature of her own 16-year marriage, which ended only with Robert Schumann's death in the asylum at Endenich, near Bonn, more than half a century ago. "When those dear eyes are closed, so much will have ended for me," he wrote during her final illness. In a sense, Brahms spent his life with Clara Schumann -- not side by side, but surely together. What she meant to him was very clear to his intimates -- as clear, in fact, as the tears they would see filling his eyes when he spoke of her, which was very often, during the last days of his life. Jeffrey Dane is a New York-based researcher, historian and author whose work is published in the USA and abroad in several languages. He has written extensively about the composers, and has contributed to a number of volumes, including Leonard Bernstein -- A Life by Meryle Secrest, and the college textbook Listening To Music by Dr. Jay Zorn. His book, A Composer's Notes: Remembering Miklos Rozsa, was published for the 2007 Rozsa centenary.